A perennial contender in the Yukon Quest 300 sled dog race, Aliy Zirkle repeated as champion when she crossed the finish line in Whitehorse Sunday evening. The 49-year-old Zirkle from Two Rivers, Alaska, won her first YQ 300 in 2014 but she’s never been far from the top when she runs the race. Fox Lake musher Fabian Schmitz finished second this year , almost two and a half hours back of Zirkle. Marcelle Fressineau, the 64-year-old Whitehorse musher and the most senior in field of 13 mushers who left the start on Saturday, finished third, three hours off of Zirkle’s time total time of 26 hours and 16 minutes. Whitehorse musher Jonathan Lucas and Heather Hamblin of Two Rivers, Alaska scratched from the race. 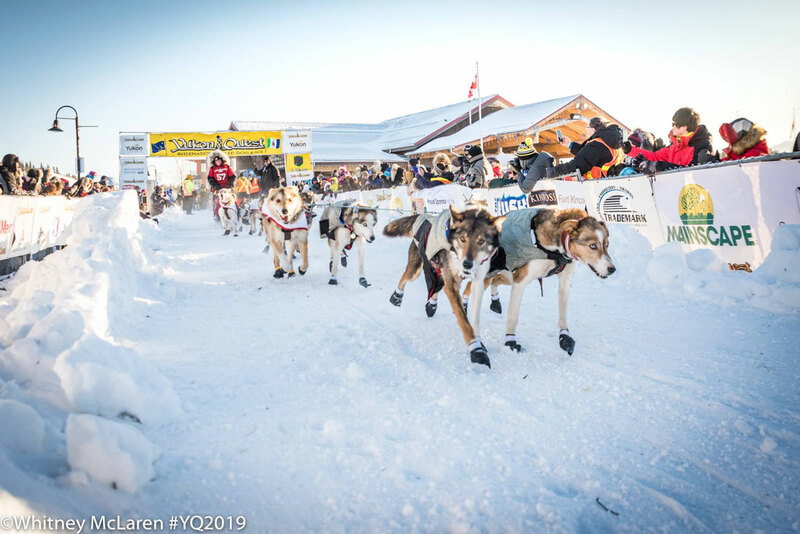 The YQ 300 was reduced to 200 miles this year because of the same trail conditions between Braeburn and Carmacks that forced the Yukon Quest race to truck their dogs from Braeburn to Carmacks. Instead of going from Whitehorse to the finish in Pelly Crossing, the YQ 300 teams left Braebun, went through the Coghlan Lakes, down Lake Laberge and back to Whitehorse. Zirkle and Tagish Lake musher Michelle Phillips have had a match going in the YQ 300 for years. Phillips, however, is running the main race this year for the first time in many years, and she was running in third at noon today. In 2011, Zirkle finished fourth, and was second in 2013 behind Phillips. She won in 2014, and was second behind Phillips again in 2015. Zirkle finished in second in 2016 and was second again to Phillips in 2017. But she didn’t run last year. The 2018 race was won by Ben Good.